ODROID-H2 is ready to order. This thread is locked because new H2 sub-forum is available now. Feel free to post any question or idea. As you all know, we do not disclose our products until it reaches a certain stage. The N1 was the only one that we dropped after the official announcement. Behind, we had quite some projects attempted, incomplete or dropped. Today, I would like to reveal one Intel platform, H2, which will be available in November. Why it is not H or H1? It is our 3rd X86 platform. We kicked off the first x86 project in 2015. Here are advantages that encourage us to start x86 platforms as well as the ARM architecture. - Modern OpenGL 4.5, OpenCL 2.0, Wayland and Vulkan GPU drivers are working via standard Mesa library. - MPEG2/MPEG4/H.264/H.265/VP8/VP9 HW video decoder & encoder works with VAAPI standard. We started to develop the first x86 based ODROID board with Intel Cherry Trail x5-Z8500 2.2Ghz CPU which was supposed to be the ODROID-H. In 2015 and 2016, there were several single board computers in the market using Intel x5-Z8300 1.8Ghz Quad-core CPU from other manufacturers. 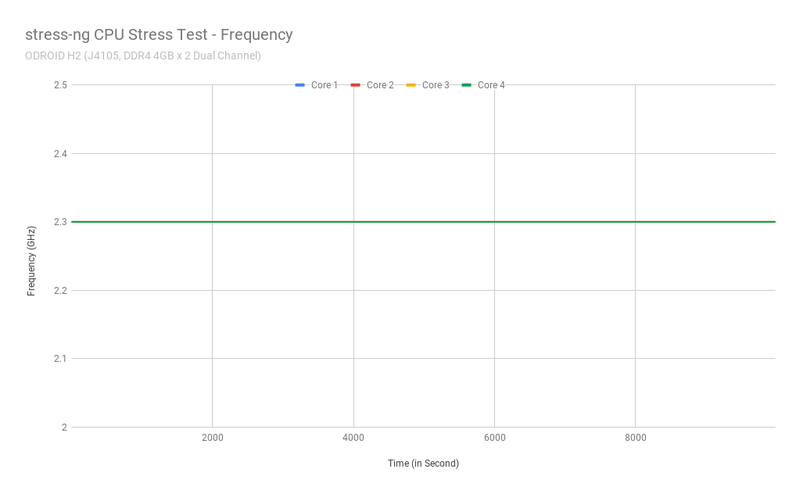 We saw significant performance difference on Z8500 2.2Ghz. It was in a different category. 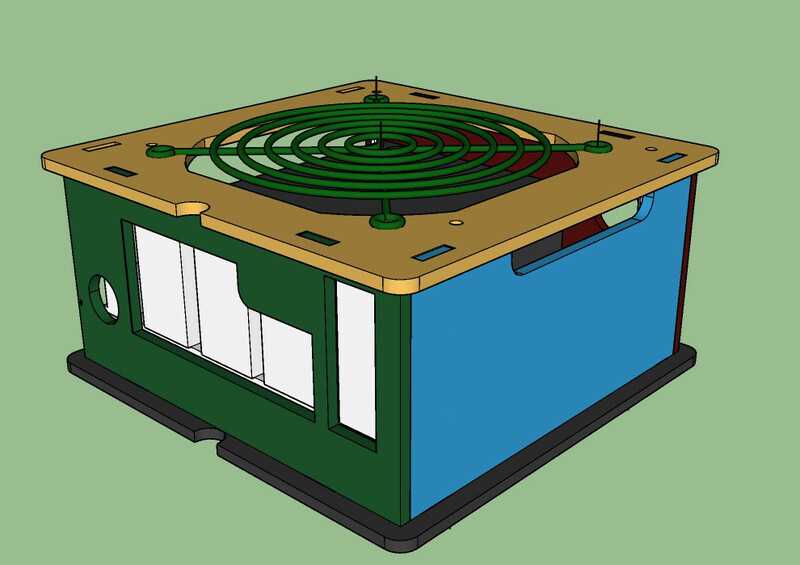 After 3 months of schematics and PCB design, we started manufacturing process. We faced a big issue that Z8500 had a very fine pitch of BGA which raised PCB cost and manufacturing cost twice more than expected. Think that Z8300 had 592 pins while Z8500 had 1380 pins. LPDDR3 RAM sourcing was another big hurdle. Z8300 supported a normal DDR3 while Z8500 supported only LPDDR3 which was much more expensive with very long lead time. Z8500 CPU itself was very competitive. But, it was not competitive enough when it was turned out the final products. We started another x86 board design with Intel Braswell N3160 CPU. From the previous lesson, the second development was faster and more successful. This time, we made a project name as ‘ODROID-H1’. We made the first engineering sample in February 2017 with 8GB onboard DDR3 memory. ODROID-H1 was used for a dedicated project and the result was quite successful. But the next generation Intel CPU Apollo Lake was already available in the market and we thought Braswell was not competitive in the generic SBC market. Additionally, the 1GB DDR3 chip shortage problem also blocked the launching of the H1 model. We considered AMD Ryzen 5 2500U 3.5Ghz mobile processor. The performance was very impressive, but the price of the CPU was also very impressive. 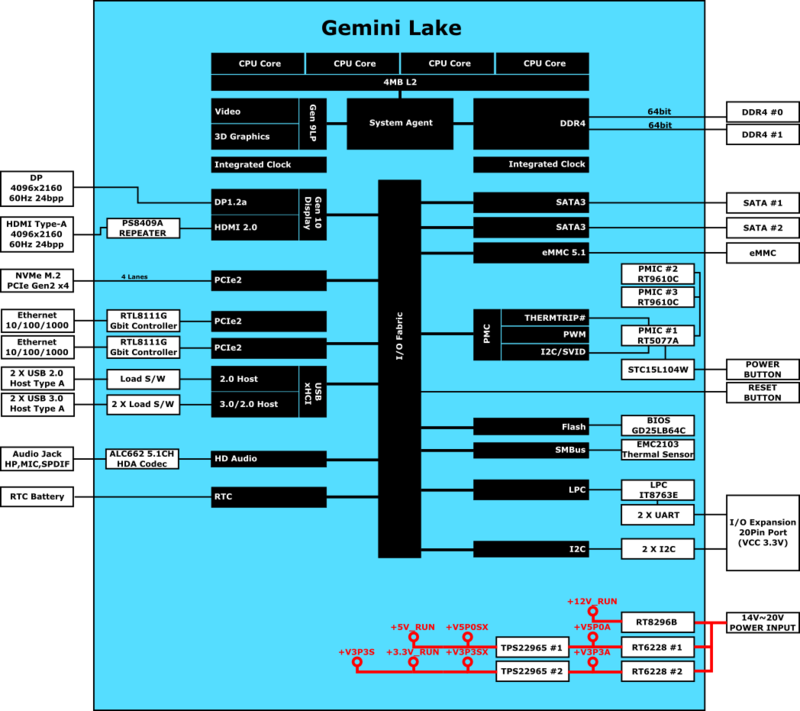 Fortunately, Intel also announced the Gemini Lake processors. It was slower than Ryzen but much faster than Intel Apollo Lake, and the price was reasonable. Finally, we decided to build a high-end single board computer ODROID-H2 as the following outstanding specification. 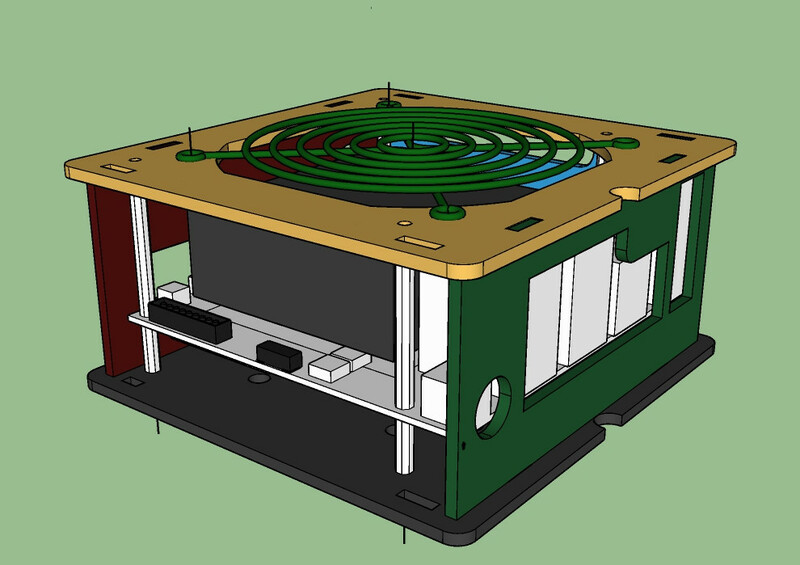 Therefore, we started the hardware design from March 2018 and we made the first engineering samples in July. After fixing some hardware issues, we had the second engineering samples in September. Everything went well and we could pass FCC, CE, KC and RoHS certification tests in the past few months. 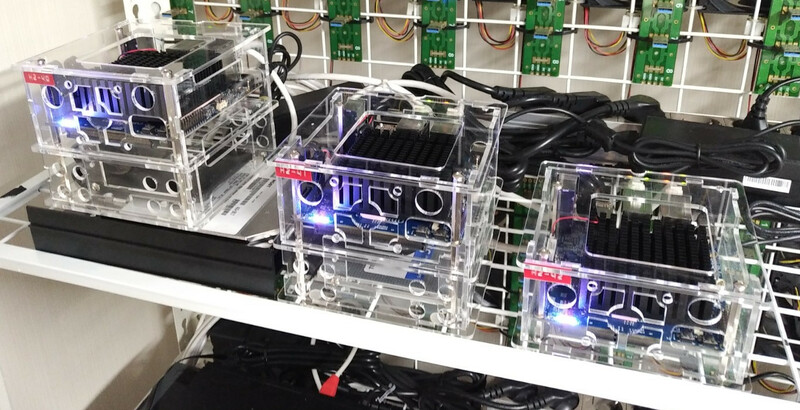 We will begin mass production of ODROID-H2 within a few weeks and our first shipment will be available in late November. 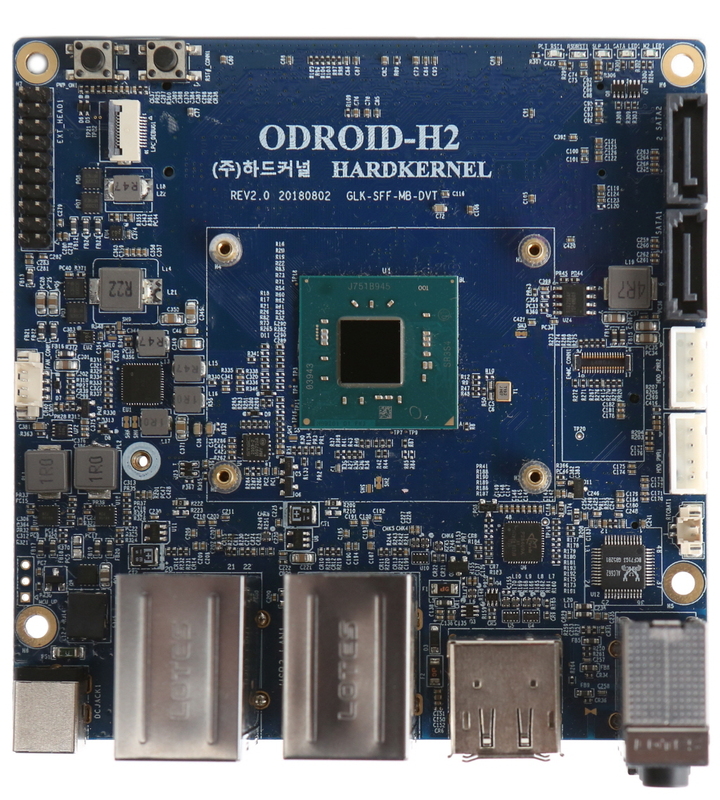 ODROID-H2 includes a large heatsink, which will give you a quiet and powerful computing experience. 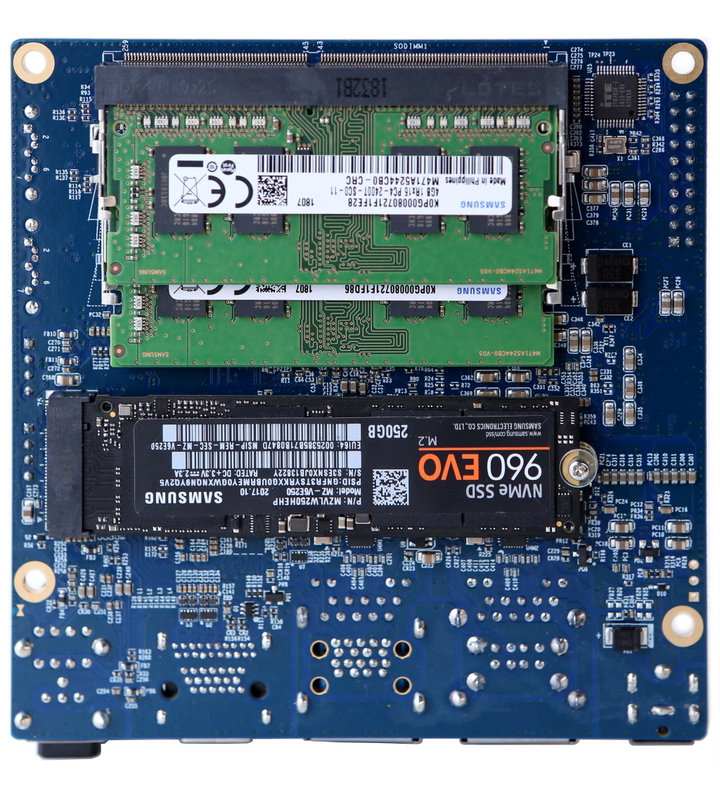 The size of the board is about 110x110x43mm and weighs about 320 grams including heatsink, two DRAM modules, and M.2 NVMe SSD. ODROID-H2 Block diagram must be helpful to understand the interconnections. Here are a few more H2 PCB pictures. Let's look into the CPU frequency and thermal characteristics with the stock passive heatsink. 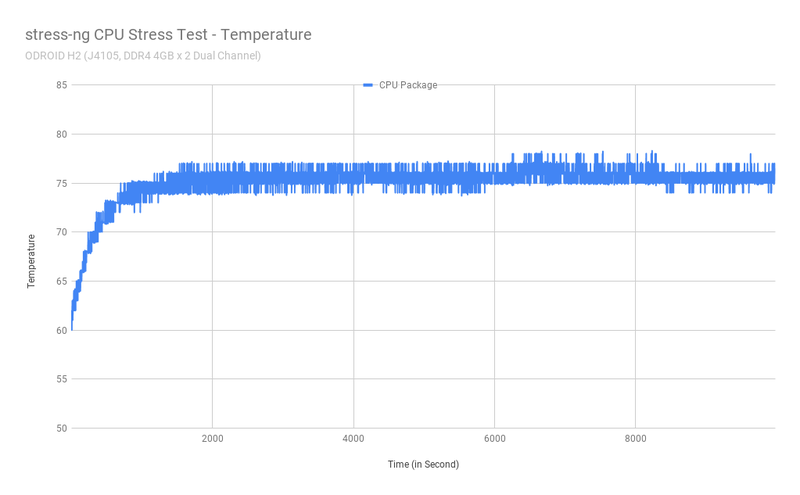 The graph below shows the result of measuring the temperature of a quad-core CPU under heavy stress for three hours. The frequency remains at 2.3 GHz without throttling and the temperature is maintained at lower than 80°C. The ambient temperature is 25°C approx. We measured the power consumption with an eMMC storage after booting Ubuntu 18.10. How about the storage IO performance? 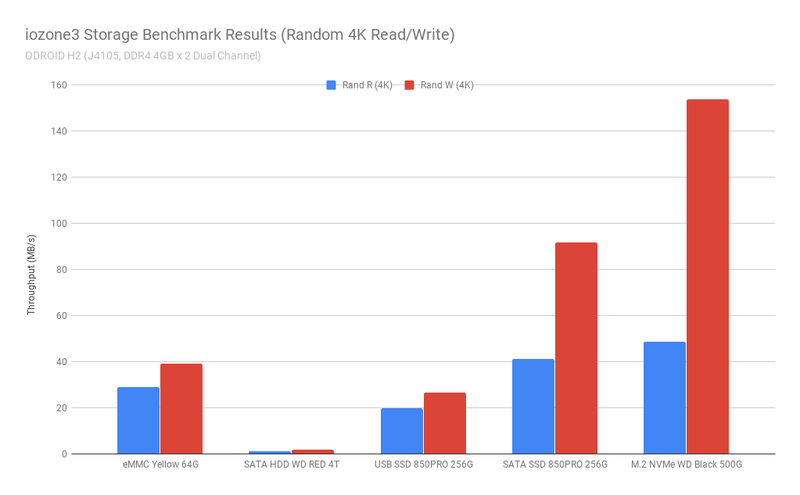 We tested eMMC, USB 3.0, SATA3 and NVMe storages with iozone -e -I -a -s 100M -r 4k -r 16384k -i 0 -i 1 -i 2 command. It should be noted that the SSD connected to the M.2 MVMe 4-lane PCIe interface has a transfer rate of over 1.6GiB / sec. 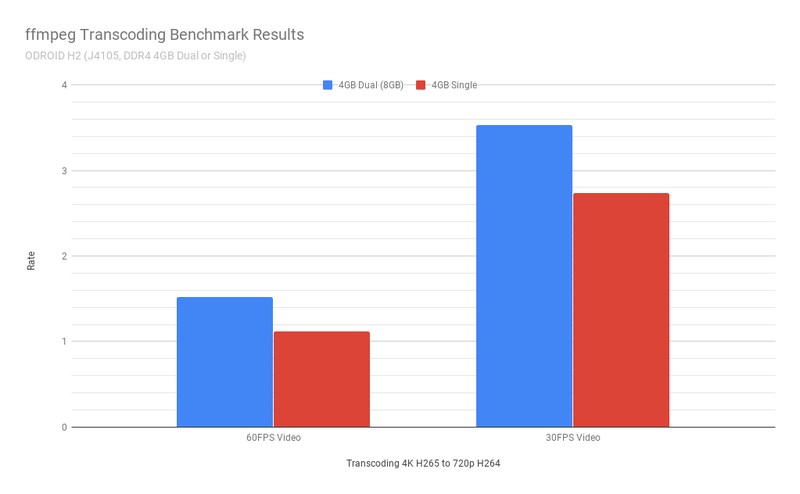 We also measured the video transcoding performance with 4K/H.265 to 720p/H.264 test condition. Fully hardware accelerated 4K/H.265 to 720p/H.264 video transcoding could be done with FFmpeg on VAAPI. 10 minutes of 4K/30Hz video file could be transcoded to 720p/30Hz video in 3 minutes amazingly. We also learned when dual channel memory is configured, the transcoding performance is about 25% as fast. Dual 4K/60Hz display output is fantastic with HDMI 2.0 and DP 1.2 ports. HW accelerated WebGL example runs on 7680x2106 resolution. This video shows how H2 works nicely. Run Dolphin on Ubuntu and enable Vulkan GPU driver. We could play Wii games on ODROID-H2 smoothly. This video must be helpful to know how ODROID-H2 is powerful. Hardware virtualization with VT-x technology. 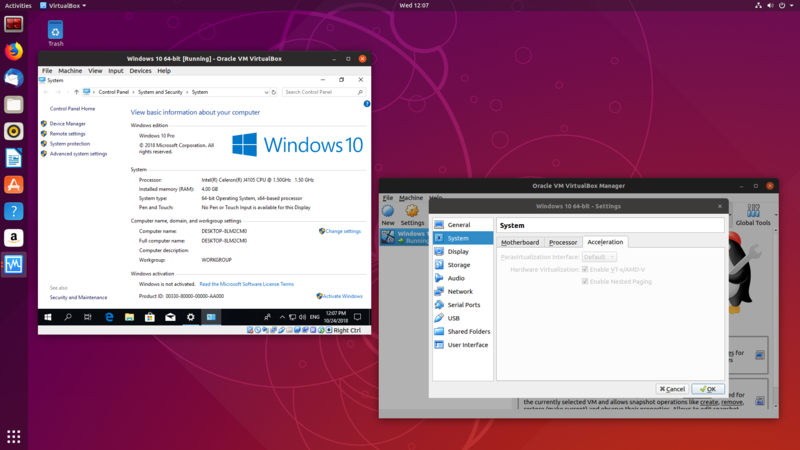 Windows 10 can run on Ubuntu as a guest OS. Two of four CPU cores and 4GB of 8GB are assigned for the guest OS. We tested it with the recent VirtualBox. We will check the HW 3D/2D acceleration performance on the guest OS later. ODROID-H2 price will be officially announced next month when it starts selling. It must be higher than US$100 though. When we gave up the poor N1, the N2(based on ARM Cortex A73) was already on the way from May. So far, it is working great at evaluation sample stage. But, we still need some more time to check hardware and software stability. We will announce at the forum first as soon as it is available for public open. We expect to be able to enjoy the N2 board party together soon. N2 is not a FAKE. We have introduced many different types of cases earlier for previous ODROID boards. For ODROID-H2, we are pleased to introduce 4 types of case. They are designed with our experiences and what we have learned from this forum. 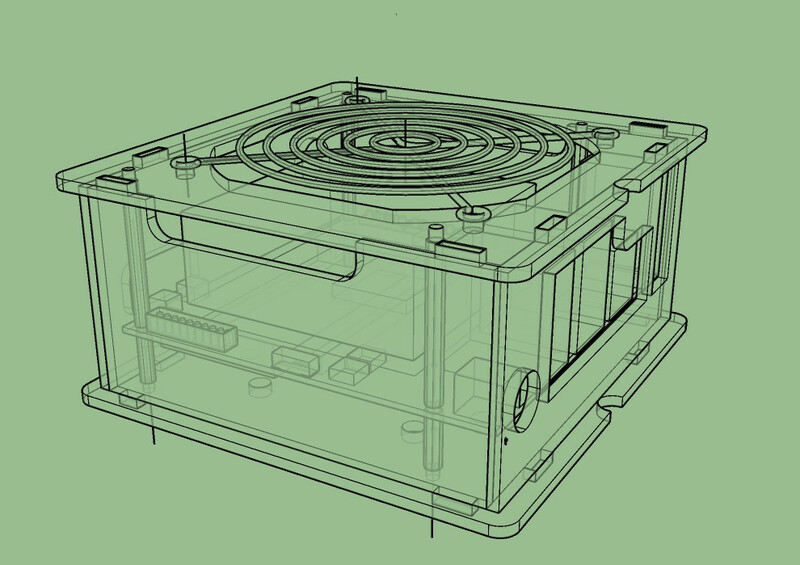 All they are built with acrylic panel, you can easily build them up by yourself. 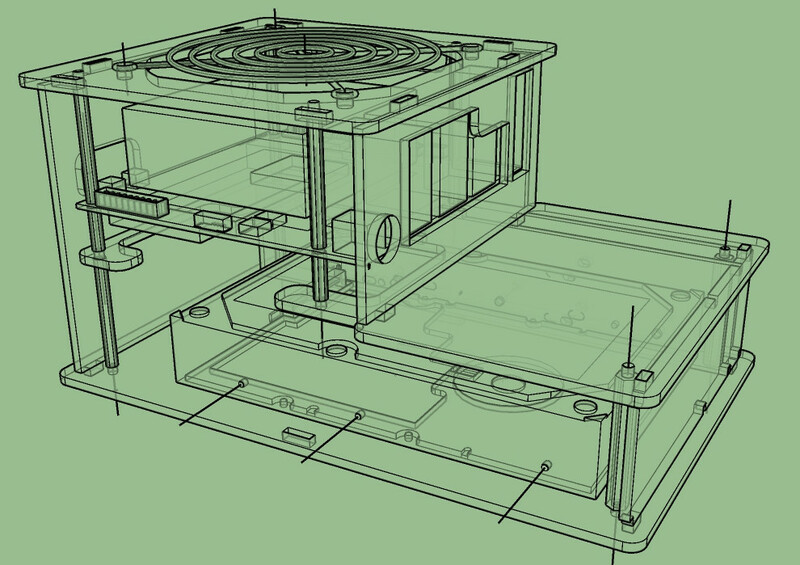 This is basically very similar design to ODROID CloudShell 2 which can mount up to two 3.5" drives. 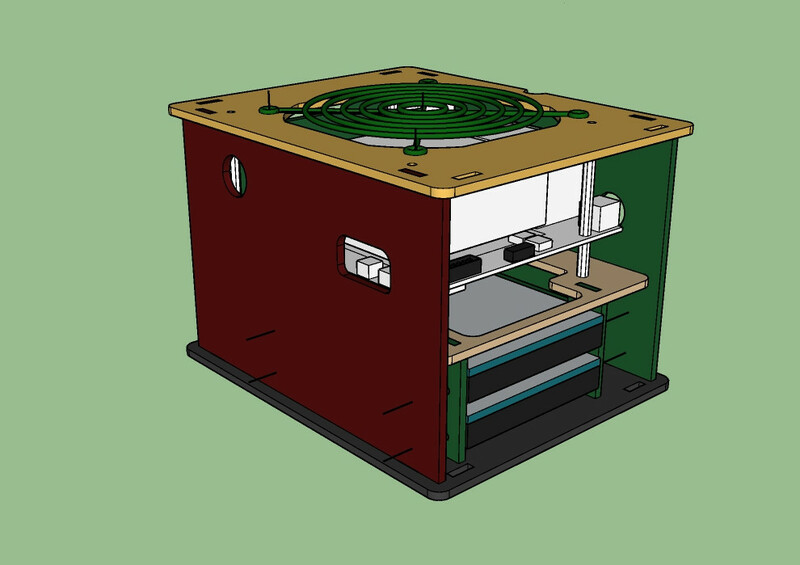 Same as ODROID CloudShell 2, this case also has 90mm fan in order to blow out hot airs comes from the board and drives. Since ODROID-H2 supports native SATA interface, unlinke ODROID CloudShell 2 uses USB 3.0 to SATA bridge with ODROID-XU4, the drives can be connected with cables. You may want to put your ODROID to the back of the display device to make your table tidy. Then Type-II is the one that can install VESA mount bracket to the bottom of it and hang up to your monitor or TV, such that you can make your table tidy and no messier due to the bunch of cables. 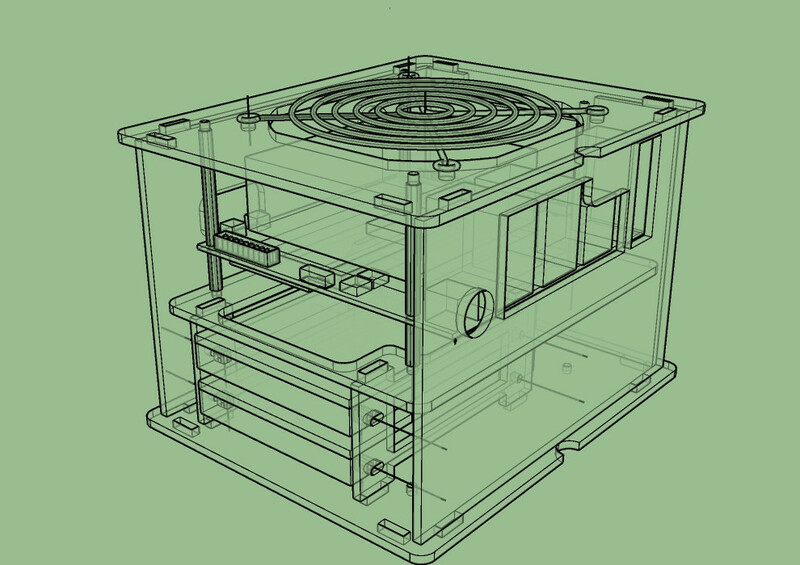 By default, 90mm fan grill is included in the package instead of adding air holes to the top panel. 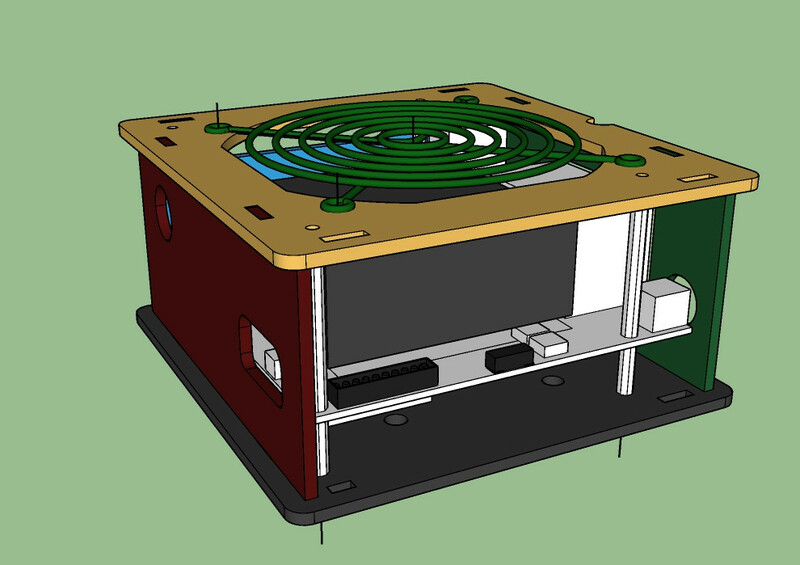 Basically, we are expecting to run ODROID-C2 with passive heatsink only, but if you like to blow out the hot air for your confidence, you can put 90mm regular PC fan and cover with the grill by yourself. ODROID-H2 has NVMe slot on the bottom and can run as a primary storage other than eMMC but you may also need more storages. The Type-III would be good choice if you only require to run one or two 2.5" drives work for your use. Type-III and Type-IV has two-story for and space for drives. If you are not happy with Type-III since you cannot put 3.5" drive, you can consider Type-IV. 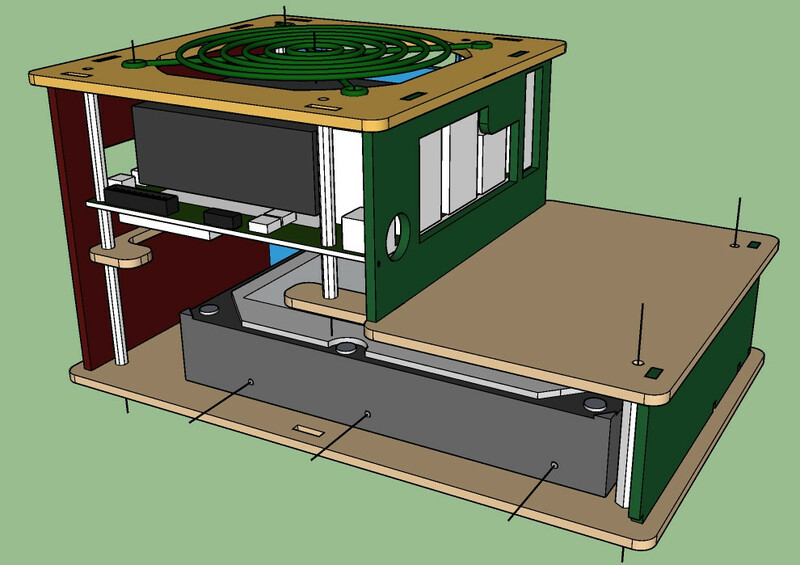 The basic function and design is very similar to the Type-III, but lower space is extended big enough to mount a 3.5" drive. There is a piece of a partition that can hold your drives and by moving it, you can mount two 2.5" drives or one 3.5" drive. Unfortunately, it is not able to mount two different size of drives at the same time because of its architecture. ODROID-H2 has a soldered 8MiB BIOS Flash ROM on the board like a generic PC. It meets the UEFI Specification 2.6 and the PXE boot requirement. 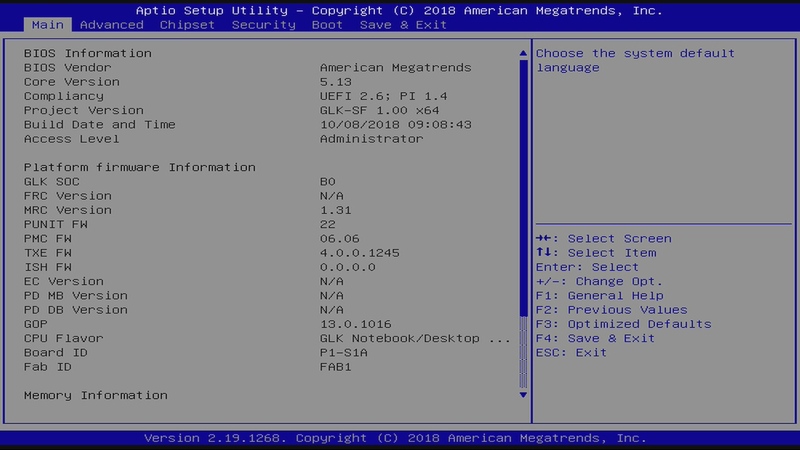 But, Intel UEFI firmware doesn't support CSM Version 2.0 for legacy OS booting such as DOS, XP, Windows 7 and so on. 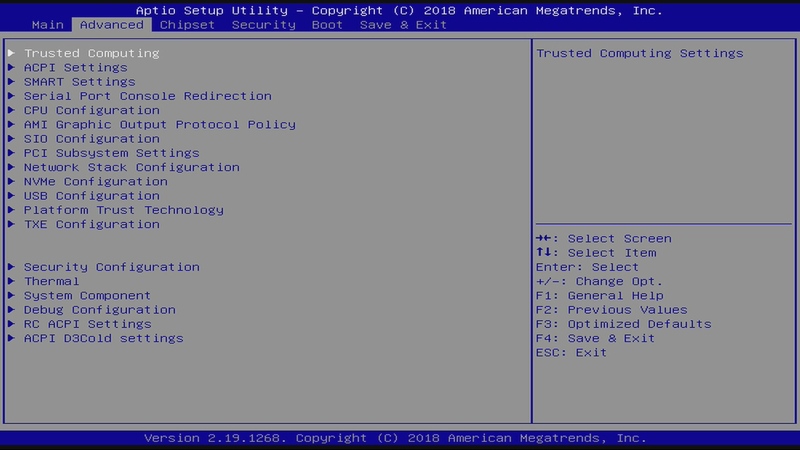 The Main setup menu apears when you press "Delete" key in the boot process. 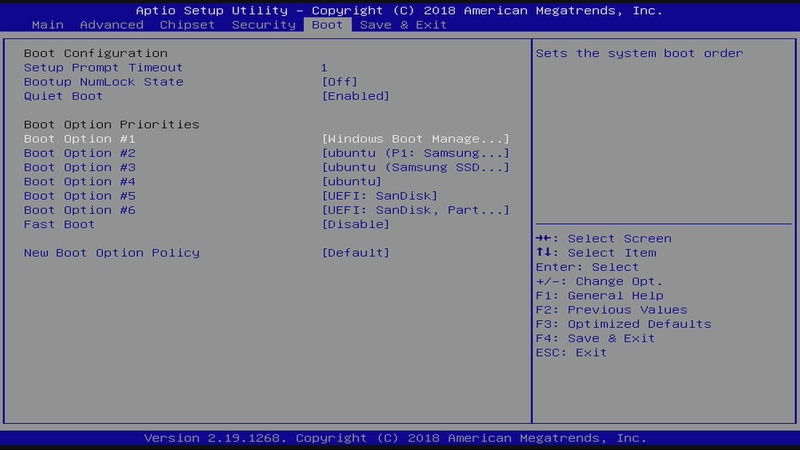 This is the Boot configuration menu to choose a boot media. ODROID-H2 can boot from eMMC, USB, SATA and NVMe storages. You can access them at the same time form the OS. 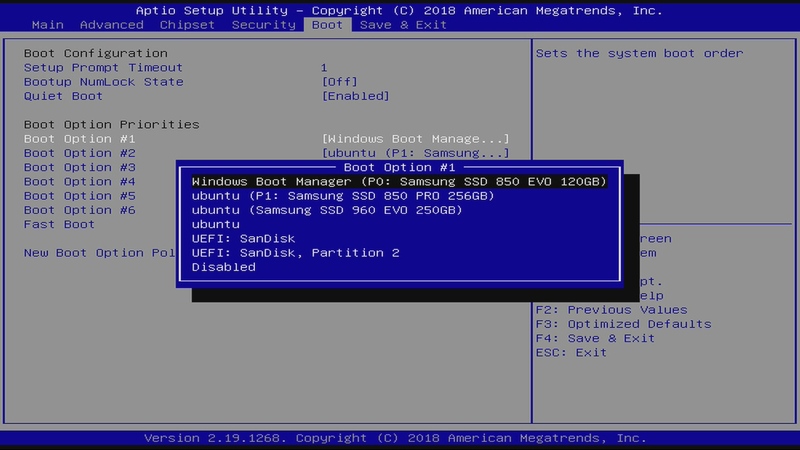 You can change the boot priority in the Boot menu. Or, press "F7" key to choose the boot media in the boot process temporarily. You can activate the WoL function on the command line. If you find g, the Wake-on-LAN feature is enabled. If you can wake up H2 board with this command from a remote PC. But the WoL feature works only with an Ethernet port near the HDMI/DP port. 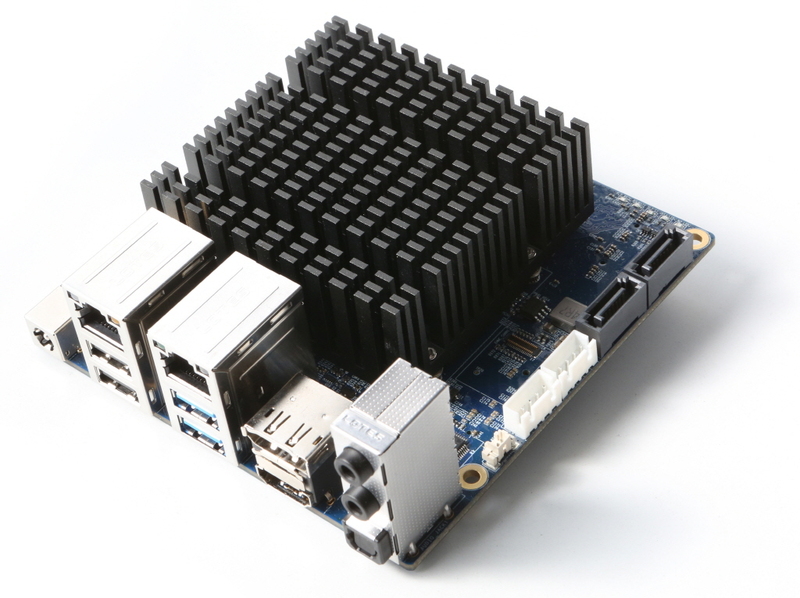 Hardkernel introduced the “ODROID-BENCH” in order to give a chance to use ODROID SBCs to the user remotely and now we put new devices “ODROID-H2” with different DDR4 memory and the storage combinations, too. They can be accessed through “ssh” with a port number dedicated to each machine, your access is limited in the Docker container on top of native Ubuntu “18.04.1” and the Linux kernel “4.15.0-38-generic”. Still, you can run a bunch of system commands with root privileges and grab the hardware information. Even you can run a benchmark tool, but the score will be slightly lower or very close to the one tested on the native environment since your access is in the container. This is the “iozone” score of ODROID-H2 Unit #1 in the Ubuntu container. 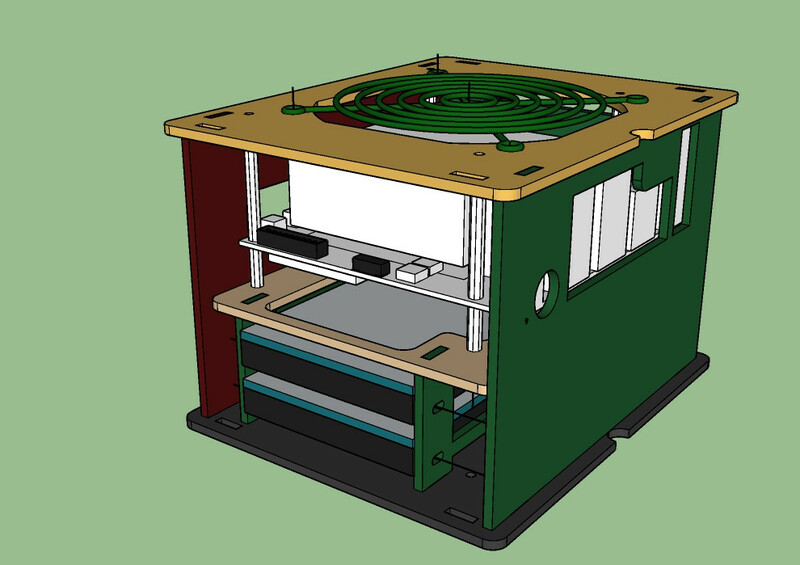 If you have any issue to access the machines on ODROID-BENCH or request, please post your idea to this thread, viewtopic.php?f=29&t=32257. That was not what I expected. But after reading it seems a great system. I would have expected a x86 to use a lot more power. It`s a good solution for better driver support. I wonder what the price is going to be. I hope not too much above 100$. I still want to see an A73 board. I`m more interested in those high performance ARM cores. If you want it tested and a review video, then please let me know. Thank you for the great info, nice to know what goes on behind the curtain. Thank you. Last edited by BadPritt on Fri Oct 19, 2018 11:49 pm, edited 4 times in total. Congratulation on the release and thank you for sharing internal processes! This should be a very nice board, can't wait to have it! A True Raspberry killer. Roughly the same power consumption, but much powerful and can be used for much more things. Finally people realized that these garage-tuned custom ARM linux forks lead to nowhere. Mainstream Linux distros are the way. Do you think it's possible to install Windows on it? Voltage range input could have some higher upper limit (~25-29V) without too much expense for a later rev. version. Last edited by back2future on Fri Oct 19, 2018 7:37 pm, edited 5 times in total. Since it is using an intel GPU, I assume it doesn't have CEC hardware ? I am as surprised as many others, but I do see the logic behind it. Congrats on the new oDroid. What about pricing? Will there be a N2 as well? Last edited by tmihai20 on Fri Oct 19, 2018 6:56 pm, edited 1 time in total. Who is afraid of the big, black bat? NightWolf wrote: Do you think it's possible to install Windows on it? Is Windows 7 (not 8 or 10) supported on this chip? Of course, I fall asleep and bam. Nice work, it's a big surprise... now I can sleep. I will be excited after, I'm exhausted. This thing looks super beastly. Last edited by rooted on Fri Oct 19, 2018 7:22 pm, edited 1 time in total. crashoverride wrote: Is Windows 7 (not 8 or 10) supported on this chip? Biggest problem will be the NVMe SSD which might not be supported by Windows 7. That's awesome to know, thanks for sharing! I guess the ryzen 3 2200g was out of the equation due to TDP constraints. Does it support ecc ram? What will the final package contain? Will it have RAM as well? It does not say if it does at all. memeka wrote: Does it support ecc ram? Because of Duterte we would like to have a higher cost alternative. A really great board, indeed! Kudos for offering the x86 board, these chips are pushing more and more towards low-wattage realm that ARM claims as its own and times have really changed. I really thought it's going to be AMD-based, due to generally more favorable price/performance ratio, although the wattage of these boards is somewhat higher than intel-equivalent (which is a problem of its own on such small form-factor!). SO-DIMM RAM prices or very high. It`s going to get expencive. But at least we can choose how much to put into it. I think it`s great the eMMC is still the same. We can keep using our old ones. They are the best. I fell in love with ARM cpu`s because it gave me back the feeling of my early days with my 286. Nobody had one, everything was new. It was not mainstream at all. I lost all interest in pc`s around 2005. Then the ARM SBC`s came, and that made me fall in love again. I know nobody else who ownes an sbc except the people that I gave one. It`s a constant struggle to make new things work, and I love that. Now you`re going to try to bring me back to that Intel thing? Only because it`s Harkernel`s child I now really really want it. I love their other products so much that I want an Intel CPU now. It seems you guys have too much power over me. I did not pay any attention to small factor x86 processors because of little to no support, but this one looks pretty great, especially since it comes from oDroid. 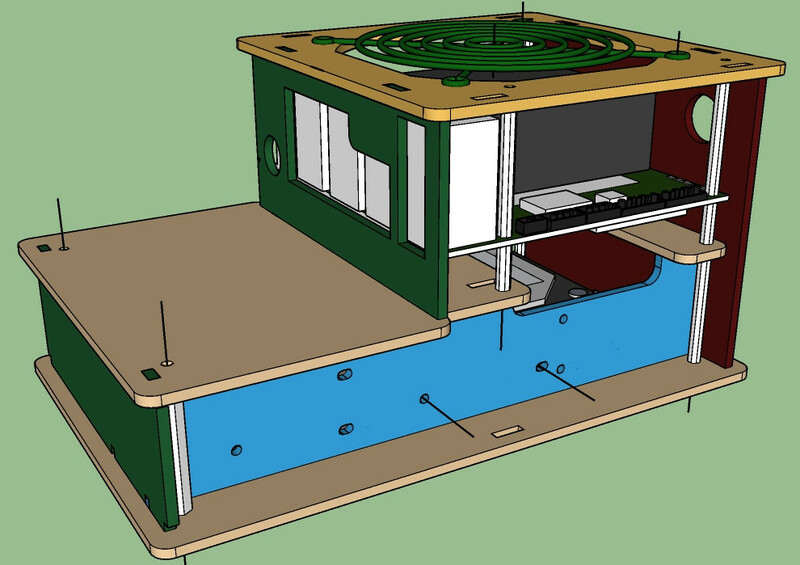 I am very curious about its case and if OGST will be made available for oDroid-H2. 2) I don't see the SATA ports on your pictures. There is two SATA ports. Looks very well. This processor supports virtualization, so this SBC can run also as low-cost hypervisor. It's a pity that max memory seems to be 8GB indeed. Have you already designed some covers? Last edited by Karol on Fri Oct 19, 2018 8:55 pm, edited 1 time in total. Are the white ports 2 sata power? mad_ady wrote: Are the white ports 2 sata power? odroid wrote: As you all know, we do not disclose our products until it reaches a certain stage. Great Work! I wasn't expecting that and that's finally everything i need to add a "hot tier" to my hc2 gluster cluster. Too bad the gigabit chip are RTL based because it would also have been a great pfsense box, since it now only support AES-NI CPU. I will definitely test it tough. Karol wrote: Looks very well. This processor supports virtualization, so this SBC can run also as low-cost hypervisor. It's a pity that max memory seems to be 8GB indeed. I'm guessing the design choice to use two sata power instead of one with a Y cable like the N1 is to make things more manageable inside the case, right? 8 GB should be enough, it looks like it really supports up to 8 GB maximum DDR4 chips. It should enough even for Windows. My hexacore (3 year old) PC has 16 GB of DDR4 memory, 4x4. We installed two 16GB SO-DIMM modules and tested the functionality with memtest utility. It worked well. So we could say ODROID-H2 supports up to 32GB. But, 32GB DDR4 DRAM is quite expensive. tmihai20 wrote: 8 GB should be enough, it looks like it really supports up to 8 GB maximum DDR4 chips. It should enough even for Windows. My hexacore (3 year old) PC has 16 GB of DDR4 memory, 4x4. 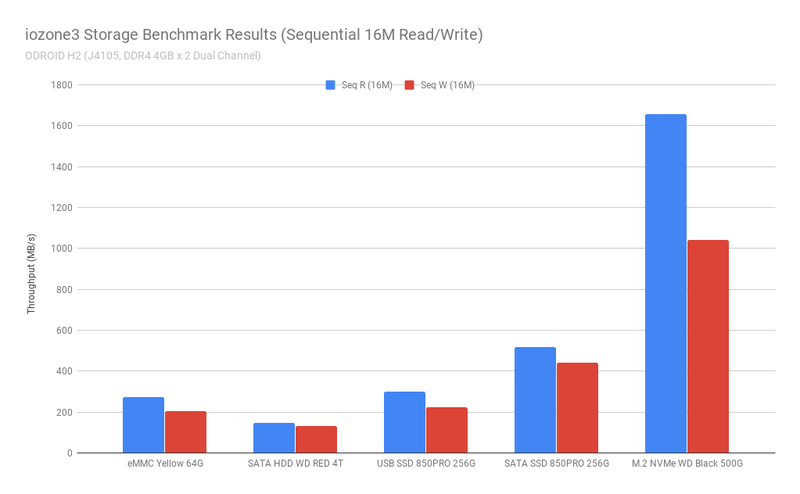 Depend on the use case, a bit more ram would make it a good database engine with NVME. Plus as said it could be an hypervisor. In any case it's great. golgoth wrote: Depend on the use case, a bit more ram would make it a good database engine with NVME. Plus as said it could be an hypervisor. Yes, it could be used like that, but remember that the processor is still a Celeron. odroid wrote: We installed two 16GB SO-DIMM modules and tested the functionality with memtest utility. It worked well. I do hope 16 GB can be fitted to it. Even 2x8 GB DDR4 are expensive. Edit: how will the integrated graphic chip work? Will it take its memory from system memory? Last edited by tmihai20 on Fri Oct 19, 2018 10:16 pm, edited 1 time in total. So-dimm DDR4 16GB is probably_2018 120-190$ (ECC slighly up towards 230$), almost or up to 두 사람 cost. DDR3L can be half price (nowadays). What is Intel for you? Last edited by back2future on Fri Oct 19, 2018 11:18 pm, edited 1 time in total. Nice early morning surprise here on the West Coast... Congrats HK! Like the high DDR4 RAM capacity, dual eth, SATA, passive cooling - all makes for a gr8 beefed up mainsream edge computing IoT capable device. Thanks, Mr. JL & team! Have been requesting one, and here it is (a 4 or 5 eth port version would be nice too). Love it. I really liked the board, and it will certainly be my next acquisition. I wonder if it will be possible to install the OS inside the HD connected to the SATA port? Would it be possible to use Windows 10 on this card? I've made a video about the announcement of the Odroid H2. Yes, it would be a real killer if we can install the OS on a M.2 or a SATA HDD. I would love to get rid of the microSD card or the eMMC. tmihai20 wrote: Yes, it would be a real killer if we can install the OS on a M.2 or a SATA HDD. I would love to get rid of the microSD card or the eMMC. There is no microSD on this board. So you're done with that. I expect it to run from sata and m.2. It must have a bios, so all easily configurable. The eMMC is great because we still can use our old ones. I've got a 128GB and a 64GB one. This is fantastic. I use several Linux packages that need more memory, x86, and/or local storage, which mean I can't use my Pis for them. I want to preorder this now! Really looking forward to the pricing. If it isn't too much more than $100 (w/o memory or drives) then I can see buying a pair of them. A bit sad to leave ARM behind, but the memory and I/O capabilities of this beast I can easily put to good use... and having a full blown Intel GPU with OpenCL support is more than I expected. Addendum: one thing that is a bit annoying though is the 14v - 20v input range. That means it works with neither 12v nor 24v supplies. I won't say this is my next SBC until I know the price. 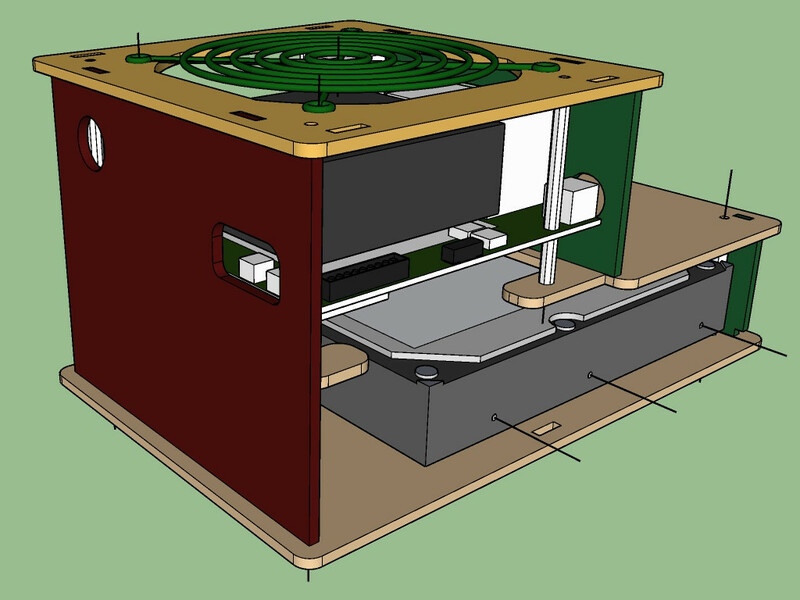 If it can be done for under $150 USD with power I'm definitely interested. Last edited by veveaucent on Sat Oct 20, 2018 2:50 am, edited 1 time in total. 1.4x slower than the $250 NUC. 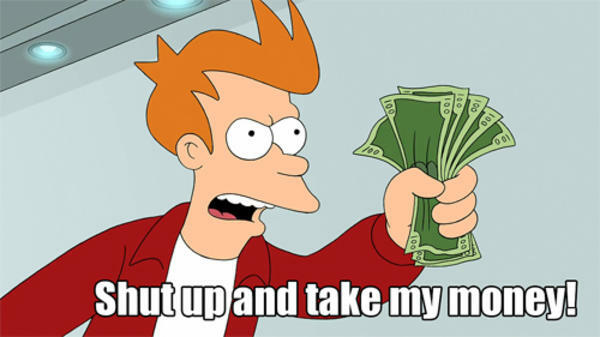 ASword wrote: Really looking forward to the pricing. If it isn't too much more than $100 (w/o memory or drives) then I can see buying a pair of them. A bit sad to leave ARM behind, but the memory and I/O capabilities of this beast I can easily put to good use... and having a full blown Intel GPU with OpenCL support is more than I expected. I would also want to know details about the N2 before thinking about H2. If you guys manage to keep the price at 120-130 with the power supply, it would be a real deal. I would also love to be able to add Ram to the purchase. I can get my own M.2 SSDs, but SO-DIMMs are too expensive here in my country. Edit: Please try to avoid sending packages with DHL. Send it with EMS, Fedex or anybody else other than DHL. They are asking for a 20 EUR fee for their services. I just noticed that the 'official' price of the SoC being used is $107 in quantities of 1000. That plus all the goodies on the board (despite no RAM or storage) means this bad boy is going to be a fair bit over $100 without RAM and storage. Starts to make these things a serious investment. 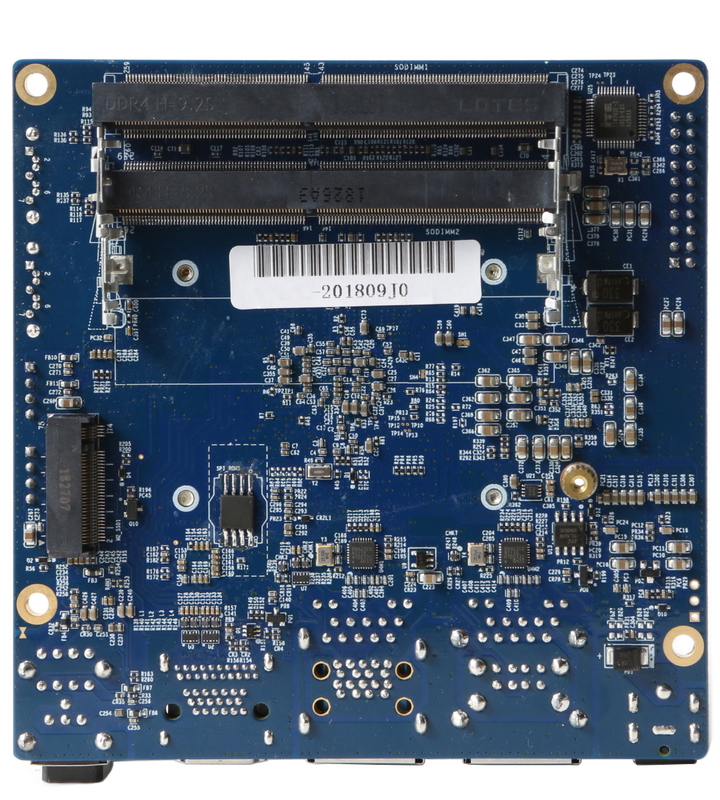 This is going to be a great SBC for Volumio X86, standalone and/or networked! Everything audiophile is there: HDMI Out, SPDIF, excellent USB Audio due to proper USB drivers (kernel 4.18). odroid wrote: It worked well. So we could say ODROID-H2 supports up to 32GB. But, 32GB DDR4 DRAM is quite expensive. You will (or the community here will?) collect a "known good RAM" list?